One Year Anniversary of Creative Nails!! Its our first birthday!! Yehhh !! We would like to thank each one of you who directly or indirectly helped and encouraged us. It was not possible to achieve this milestone without you guys. 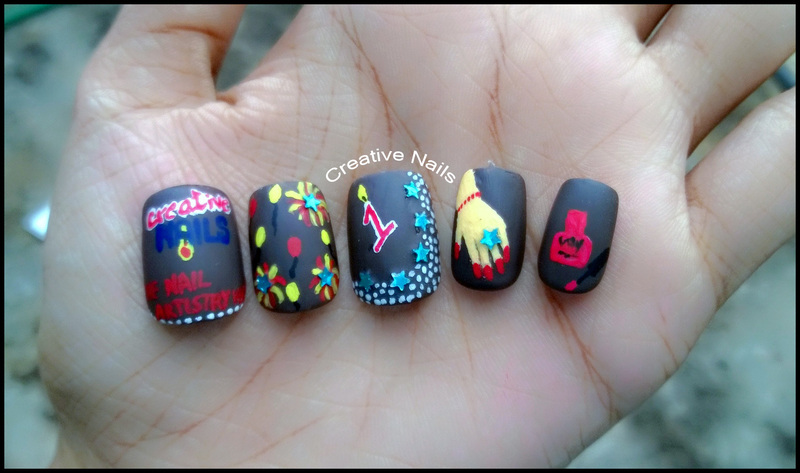 Creative Nails came into being on 4th October 2014 and went online with our 1st post: “Safe Diwali Nail Art” on 22nd October 2014. Creative Nails is now also active on Facebook (https://www.facebook.com/groups/creativenailsteam/), Twitter (@CreativeNails_D), Instagram (@creativenails_d), Tumbler (creativenailsteam.tumblr.com) and Pinterest (https://www.pinterest.com/creativenails_D/). A BIGG Thank You to one and all!! ← Welcome Ganesha Nail Design! Congratulations on the one year anniversary! Nice mani too! Happy 1st birthday and many more to come.